Pure & Clean offer a full service to all of our clients, both domestic and commercial. We use high reach poles and only pure water, enabling us to get the best finish possible, whilst still protecting your privacy. However, on certain jobs, we still use traditional methods. We understand that it takes time to establish a good working relationship before you commit to a regular service. This is why we are happy to offer one off cleans, as we are confident that you will be impressed with the quality of our workmanship. We also offer a conservatory cleaning service, making your conservatory windows, doors and roof look like new. This can also be on a regular basis. Whether it’s a house, flat, bungalow or any other living space, we are here to clean your windows to the highest possible standard. Pure & Clean regularly work with many sectors of the commercial industry, and use tried and tested methods to achieve the best results. 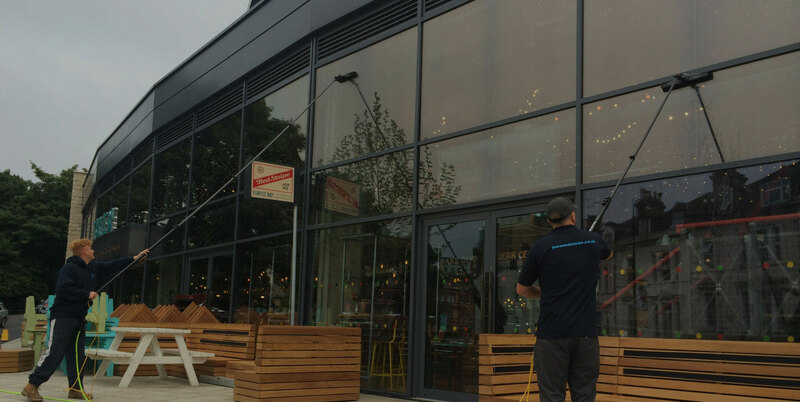 Our attention to detail makes us the perfect choice when deciding who will clean your commercial buildings windows. All staff follows a strict health & safety policy, and we have public liability insurance up to £10,000,000.